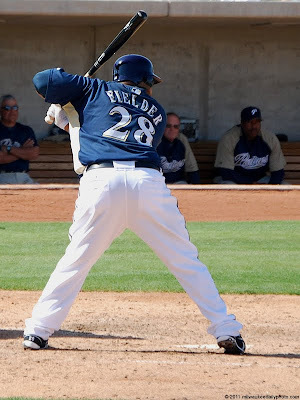 Prince Fielder signed a deal this week to play the 2011 season for the Brewers. At $15.5 million, the contract is the richest single-season contract in baseball history for a non-free-agent player in arbitration (whew, that's a lot of qualifiers!!). We booked our tickets for Phoenix and Spring Training this weekend, so it's good to know that we'll see Prince while we're there.